I’d planned on getting dentures once my teeth are extracted. However, my dentist says he only does partial and no longer does complete dentures. Instead he’ll only offer me dental implants. Of course, they’re way, way more expensive. That doesn’t make any sense to me. I noticed on your site you offer both. Is my dentist just making a money grab? A good dentist explains the pros and cons of your options. It sounds like your dentist will only offer what he considers the ideal treatment. Dr. Noah’s treatment philosophy is not everyone can afford the ideal. Instead, he’ll tell them all the pros and cons of their decision and then leave it up to them. It’s a shame your dentist just told you the ideal without explaining why. I’ll try to explain the difference here. When your teeth are removed, it doesn’t just take the crowns of your teeth, but the roots underneath the gums as well. Your body recognizes this and (being the efficient living machine it is) decides to take the minerals in your jawbone which were used to help support your tooth roots and use them elsewhere in your body where it perceives they will be more useful. The sad result of this is your jawbone begins to shrink. This is known as facial collapse. It means after 10 or more years, you will appear many years older than you really are. Even worse, you will no longer have enough jawbone left to support your dentures. 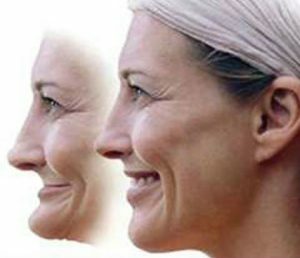 If you look at the image at the top of the page, I have a side by side of dentures on the left and a single dental implant on the right. Notice especially the dental implant. There is a root form that is implanted into your jawbone. Then, after a healing period, a porcelain crown will be placed on top. It’s the prosthetic root which signals to your body, “Hey! There are still teeth here. We need our jawbone.” This protects your jawbone from being resorbed. 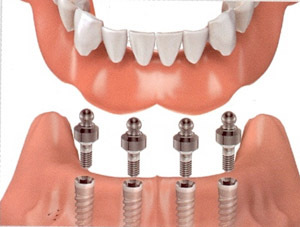 While dental implants are more costly, implant overdentures can work using just four to six dental implants and then attaching the dentures to them. This has several benefits. It will preserve your jawbone. 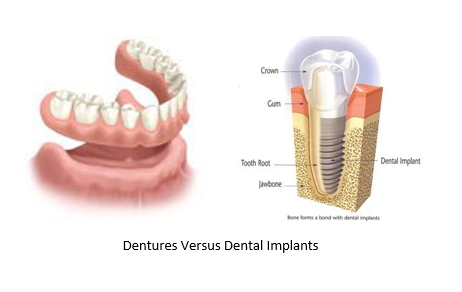 Your dentures will be secure, unlike regular dentures. Again, I’m sorry your dentist didn’t explain this to you. I hope it helps in your decision making process. This blog is brought to you by Tulsa Dentist Dr. Noah Ryan. This entry was posted in Tulsa Dentist and tagged affordable dentures, dental implants, Dentists in Tulsa, dentures, facial collapse, implant overdentures, problems with dentures, tooth replacement options. Bookmark the permalink.